Looking for a local, positive reinforcement trainer? APSS offers dog behaviour training from basic obedience to dealing with issues such as anxiety issues, pulling on the lead, fears and phobias, diet and food related behaviour, over excitement, barking, dog behaviour whilst out walking, to stop dogs jumping up. Behaviour and training visits take place in the home, where in this relaxed and familiar environment the canines behaviour can be observed first hand. 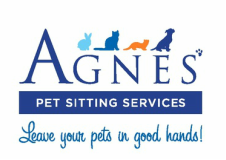 Agnes is devoted to teaching through kindness and respect using humane and ethical dog training methods. Positive, force-free reward-based training techniques. No outdated dominance theory, nor discipline or punishment based training methods are used! In plain English no one will yell, shout or throw/squirt anything near or at your dog or make him/her in any way freak out or use painful equipment. When required Agnes may handle your dog, however the aim is for the behavior problems to be resolved for you rather than her so sessions will involve both practical and theory involving yourself and your dog. At your home or at a park local to yourself. Confidence building training methods to aim for calm and relaxed walks. Weekend charge: 50% extra added on all services. Mileage: charged at 45 p per mile in excess of (CV37 0DE) 2,5 miles inclusive radius. Your bookings to be confirmed a 25% non returnable and non transferable deposit is required.